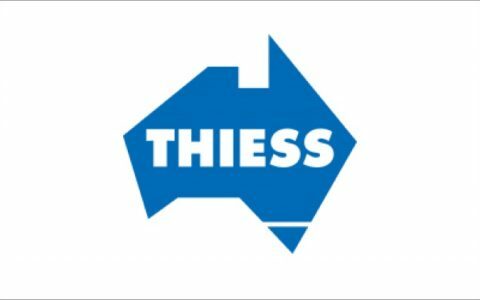 Thiess is a leading construction, mining and services contractor with diverse operations throughout selected markets around the world and a subsidiary company of Leighton Holdings Limited. When Thiess NSW/ACT’s new head, Brendan Donohue, took the reins, the business was underperforming across a range of financial, customer and safety indicators. There were several environmental forces compounding matters, including increased environmental and community expectations, IR intervention, and a tight labour market for skilled staff. Thiess were also challenged by substantial shifts in the industry; the predominance of major projects encouraged a “high” stakes game. As a consequence, the nature of relationships with clients, subcontractors, consultants and alliance partners was changing very significantly. The Thiess NSW/ACT business unit comprised three siloed disciplines; Building, Civil and Mining. Each was operationally driven, and lacked a strategic focus. The culture that pervaded the organisation was largely defensive and senior executives were ‘managing’ as opposed to ‘leading’ the business toward the growth & profit expectations of Thiess. We guided the Senior Management Team through a “define” phase, establishing a unique purpose, vision, and value proposition that would govern the entire business unit. With the aspirations clearly defined, we established agreement on the departure point for transformation of the business. A compelling story and engagement process was built around differentiating Thiess in the market place through providing ‘innovative solutions’ to client needs. All employees, from senior leaders to staff at the coal-face, were engaged in the Thiess story as leaders “Set the Course” toward the business’ aspirations. Led by Brendan, this process now occurs every year, and is the basis for aligning every individual’s goals and behaviours to the aspirations. In an environment where financials were king, we established a balanced scorecard which clearly identified, tracked and communicated performance against key leading and lagging indicators for success. Tangible objectives for leadership, culture and internal processes were aligned to the pursuit of innovative solutions. Cross-discipline teams drove strategic initiatives to support the strategy. The disciplines were further aligned by translating the organisation’s values to every team at every project. A rigorous leadership impact process was employed across the top two levels of management to enable leaders to employ proven strategies to motivate and encourage staff toward the aspirations. In a like for like comparison, revenue has increased by in excess of 250% over the past three years, and work in hand has increased by more than 300% in the same period. Recent Leadership Impact™ remeasures for the top two layers of management have revealed a positive shift in impact on the organisation with significant improvement in eleven out of twelve styles. Not surprisingly, the remeasure of organisational culture shows a dramatic shift toward a more constructive culture, with significant improvements in all twelve styles. The increased strategic focus and improvements in leadership and culture have also had a very positive impact on staff commitment to the organisation. Against an industry average of 17% staff turnover, Thiess NSW/ACT is tracking at only 3%. Customers and the construction industry have also recognised the shift made by the organisation in recent years. Thiess NSW were declared winners of the Master Builders Association’s Excellence in Construction Award for the Westmead Hospital Redevelopment, and the Royal North Shore Hospital project was awarded the Infrastructure Partnerships Australia National Infrastructure Award for Contractor Excellence.